Enjoy worry-free routing on our tours. 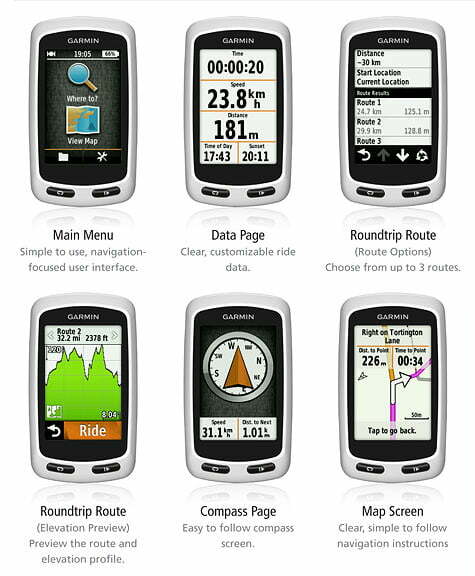 We are very proud of our fleet of Garmin Edge Touring GPS units and how they help our self-guided tours. We have been using them over the past years in several destinations, and have perfected their use on our tours! Currently, the use of one of our Garmins is included in your tour fee for self-guided tours in Tuscany, Provence, and Asheville. For other self-guided destinations we can rent you a unit for $125. Please reach out to us for rental details. For the past several years we have been including links to GPS route files in our self-guided tour Tour Packets, but with our new GPS units we will have the GPS route files pre-loaded when you arrive for your tour. That means when you start your day on the bike, all you have to do it select your day’s route on the unit and follow the purple line along the map! The unit will even give you turn by turn beeps and descriptions as you approach each turn. If you are familiar with car and mobile phone GPS guidance the screen will look very familiar. If you go off course the unit will give you a “special” audible alarm, and show you how to get back on course. Preloaded routes to follow on each day of your tour. When you arrive on your tour, all your routes will be loaded on the unit and ready for you to use! We will teach out how to use the unit at the beginning of the tour. 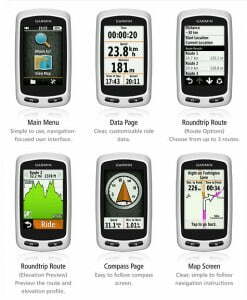 Relive and share your rides by uploading your rides to sites such as Garmin Connect™, Strava, RideWithGPS, and MapMyRide. Points of Interest (POIs) can be entered along the route. We provide instructions on how to use the unit. For Provence, Tuscany, and Asheville our local guides/concierges will give you a hands-on lesson on how to use the units. We are excited to be able to offer this technology on our self-guided tours. To ensure faultless routing we will continue to provide our proven existing daily route methods as backup to the use of the Garmins!